If you manage a DNS master, and push zones to several slaves / secondaries, you may have found that over time — as configuration files and firewall rules change — one or more slaves may have lost its ability to update its zone files. Perhaps the slave is no longer being notified, or it may have lost the necessary zone transfer permissions from the master. In a large distributed environment where DNS changes are frequent, checking the SOA serial number for all the NS servers in a zone can be quite helpful — a quick way to eliminate the DNS as a possible source of a problem. 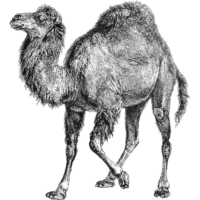 Here is a perl script I wrote a few years back to retrieve the SOA serial number for a given domain. # Get the domain from the command line. # Find all the nameservers for the domain. die "No nameservers found for $domain: ", $res->errorstring, "\n"
# Check the SOA record on each nameserver. # Set the resolver to query this nameserver. # Get the SOA record. # Is this nameserver authoritative for the domain? # We should have received exactly one answer. # Did we receive an SOA record? # Print the serial number.